Benzoin (Styrax benzoin) is native to Asia and also botanically known as Styrax tonkinensis. It comes from the family Styracaceae. The resin and essential oil are obtained from the bark. Benzoin essential oil smells like warm, creamy vanilla with balsamic undertones. This is a tropical tree that can grow to over 65 feet in height, up to as high as 115 feet. It has citrus-like pale green leaves that are almost white on the underside. There are white fragrant flowers on the tree, as well as fruit which is hard-shelled, flattish in shape, and only about the size of a nutmeg. In tropical Asia, "Sumatra" benzoin comes from the Sumatra and Malaysian regions. "Siam" benzoin comes from Cambodia, China, Laos, Thailand, and Vietnam. Siam benzoin (S. tonkinensis) is not used medicinally, so make sure you are getting Styrax benzoin. You may see the oil listed as onycha essential oil. Benzoin is formed when there is an injury to the trunk of the tree. It "bleeds" a balsamic resin. This resin, upon being exposed to the light and air, hardens, and is then collected. The crude benzoin goes through a solvent process that usually uses alcohol and benzene to create benzoin resinoid or resin absolute. While there is a "true" absolute that is made in small quantities, the benzoin on the market is often dissolved in a solvent like ethyl glycol. Benzoin blends well with black pepper (Piper nigrum), copaiba balsam (Copaifera officinalis), cypress (Cupressus sempervirens), juniper (Juniperus communis), lemon (Citrus limon), may chang (Litsea cubeba), nutmeg (Myristica fragrans), patchouli (Pogostemon cablin), and more. Anyone with highly sensitive skin or those prone to reactions should perform a skin patch test prior to using. Benzoin should not be used in ultrasonic diffusers or any that clog easily. It is very viscous and is best suited to being mixed with other oils in candle warmer type diffusers. It has been burned as incense in religious ceremonies for thousands of years. The French burned it to inhale it in order to ease respiratory issues. Southern Asians used it to mend circumcisions. Today, benzoin is used commercially for fragrancing perfumes, toiletries, cosmetics, and more. It is helpful as a fixative in these as well and can extend their shelf life. You can find it on the labels of many skin protectors, too. The food and beverage industry use benzoin as a flavoring. While it may seem daunting, making your own perfumes and colognes can be quite fun. It is not as hard as you might think, and you could end up with your perfect scent that is unique to you; no one else in the world would have it. Benzoin is a base in scenting and used as a fixative. Try top notes of lavender (Lavandula angustifolia), orange (Citrus sinensis), and juniper (Juniperus communis), add middle notes of clary sage (Salvia sclarea), and round the base off with Peru balsam (Myroxylon balsamum). When you are blending, always start with the base, then add the middle, then the top. Start with very little; you can always add more. If you do, only add one drop at a time. Often letting the scent sit for a couple days to mesh is all it takes, so don't rush the process! In the winter, there is nothing like a hot bath with some essential oils to take your mind off of your worries and the swirling bitter winds outside. Add the oils to a cup of Epsom salts or a teaspoon of aloe vera, then swirl into your bath water. With all of these benefits, you can imagine that benzoin can provide a wealth of benefits for you and your family at home. Whether you only get bouts of dry skin in the winter cold or battle year-round alligator skin, benzoin can help provide relief. Benzoin combined with myrrh (Commiphora myrrha) and geranium (Pelargonium graveolens) in equal amounts to a quality scentless lanolin cream will work wonders! Be sure to follow the rules of dilution. 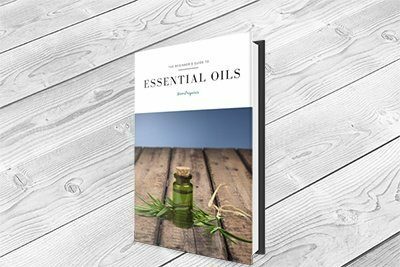 When you think of oils to reach for in cases of respiratory illness like bronchitis, tonsillitis, and the like, you probably think of mints or any of the eucalypti varieties. However, benzoin can help as well. Use two drops each of benzoin, hyssop (H. officinalis var. decumbens), and lavender (Lavandula angustifolia) in a bowl of steaming water. Breathe in the vapors with a towel over your head for five minutes. There are not many studies on the medicinal efficacy of benzoin; however, there were a few to be found. A study in a 2018 e-publication of Planta Medica, researchers wanted to determine what essential oils would be best used to cover up embarrassing foot odor (bromodosis). Benzoin oil, in conjunction with the herbs aloe, tolu balsam, and storax, works well as a skin protector. Together, they are called "compound benzoin tincture." Benzoin has been used throughout history for rituals, in religious ceremonies, and as medicine. While it is not technically an essential oil, the same rules apply. Find a supplier you can trust. Make sure the product you purchase has the name, botanical name, and country of origin. There should be no other ingredients listed, and it should be supplied in a dark bottle. Use it sparingly and be sure only to use it in diffusers that it won't get clogged, like candle-warming types.